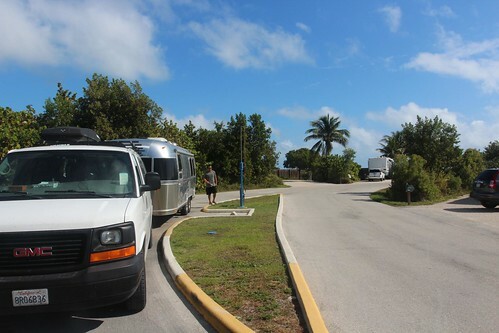 Mali Mish - Day 154: Final keys stop at John Pennekamp Coral Reef State Park. Our stay at Curry Hammock has officially come to an end. Our camp spot was the one tucked to the left of that palm tree, in between one of the campground hosts and the dump station. Too bad our hose couldn’t reach the dump from our site. Haha. Truthfully, we actually did fine with no sewer hook-ups for the four nights that we stayed our last spot. Doing dishes is always our downfall with water consumption. We really should get a more efficient faucet. 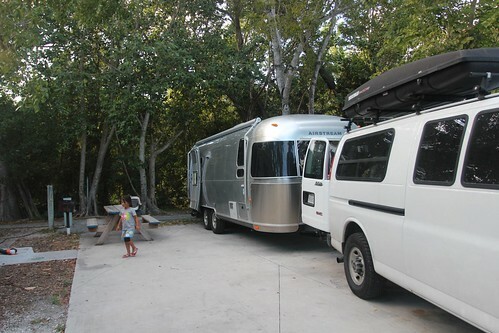 Today we are headed into Key Largo for 4 nights. 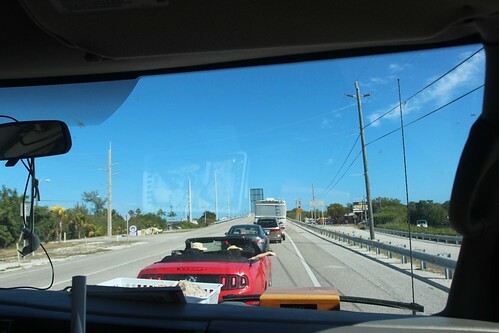 We spent the entire 40 miles driving with erratic drivers around us, like this dude in his red convertible. For some reason, he thought passing us into oncoming traffic only to get stuck behind a slow RV was worth risking his and everyone else’s lives on the road. Good move, red convertible guy. Before we settled into our new campground, we stopped for a bite to eat and to stock up on groceries. Since we are still in the Keys with limited restaurant choices and even more limited parking for the Airstream in tow, we decided to eat near the supermarket at a place called Chubs Subs and Wings. 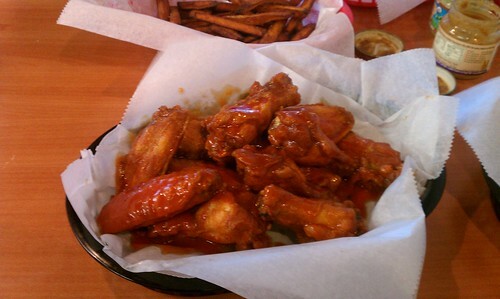 The girls and I had sandwiches while Dan ordered the buffulo wings, extra hot. And you know what happens when he orders extra hot wings? His hands are too messy and spicy to help any of the kids with their food or drinks or other kid issues. Hmmm, maybe I should order the wings next time too! We stopped in next door at the Publix and immediately had a flashback from our last trip. 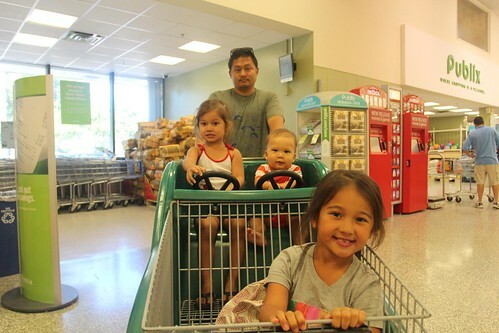 This is the same store and cart where Mila had one of her first supermarket cart rides. Ahhhh, memories. And now Luka is here with his first cart with a steering wheel. 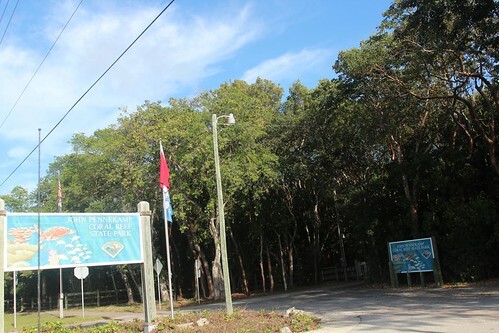 Our next campground and final of the four state parks in the Keys is John Pennekamp Coral Reef State Park. Excuse the worst picture in history. I wasn’t expecting the campground to be so close to the grocery store. We pulled into our spot and were surprised to have full hook-ups. That must have been a more recent upgrade since our 2010 stay. And I also don’t remember being on a fancy concrete pad. Hmmmm. As I looked around, I noticed that everyone else had gravel instead of concrete. We somehow got put into a handicap site. Not sure how that happened but we’ll take it! 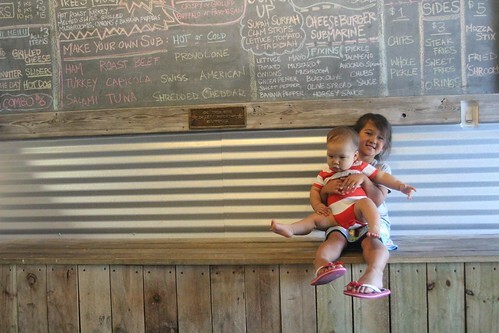 The girls immediately begged for the chalk that we have been carrying around for a perfect opportunity like this one. 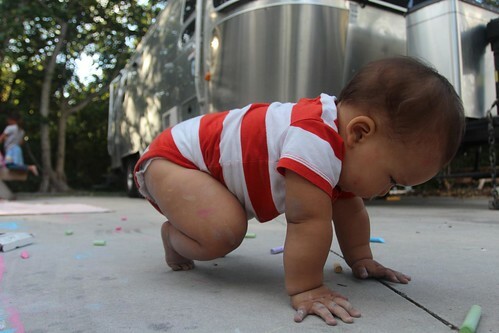 Luka even got into the action and grabbed a chalk and made a line. Good job, Luka baby! 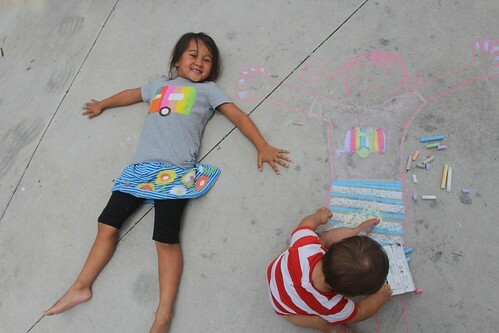 Ava wanted to have a chalk twin so she laid on the floor as I outlined her body and we both colored the rest of “her”. 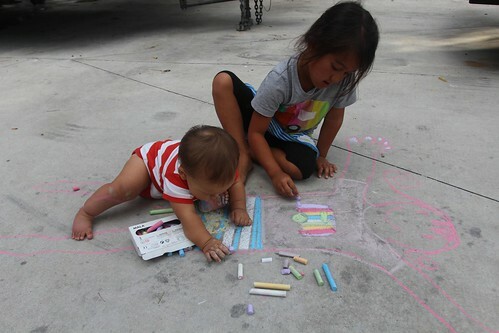 I quickly realized that babies and chalk don’t mix too well. 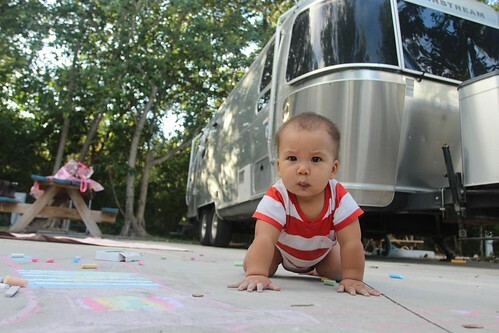 Luka was covered head to toe in chalk because crawling over our art is so much fun. And supposedly, green chalk tastes real good too. I’ll take your word for it, Luka.